Part of the exclusive Lounge Collection at Avivo, this 3 bedroom, 3 1/2 bath with Craftsman exterior boasts a great location just outside of the blooming community garden. Living begins on the first floor with a bedroom and full bathroom down. Upstairs, you'll find a spacious Great Room including a designer kitchen with dark cabinets and balcony off the living area. The master suite with modern ceiling fan, is located on the upper level with an en-suite bath. 2nd bedroom is also upstairs with its own bathroom. Standard features include quartz counters, dual sinks, designer vanity light fixtures, river rock shower pan and subway tile to the ceiling. Spend your evenings barbecuing in the community lounge, entertaining friends by the fire-pit and enjoying the upcoming holidays! 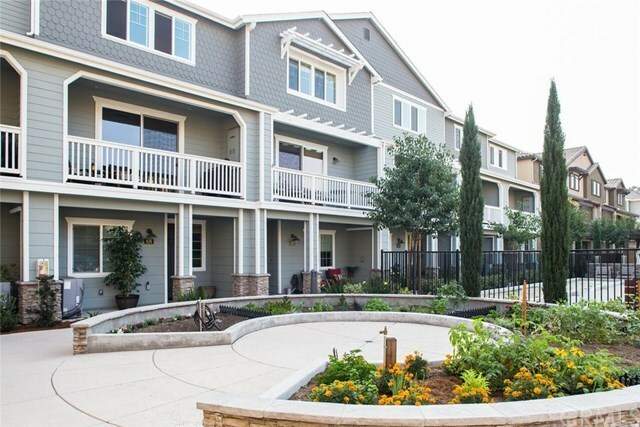 Host a game of bocce-ball or horseshoes or walk through the meandering creekside path. All of this, just a mile and a half from downtown SLO!